Sometimes you need another person's phone number, email address, or home address. 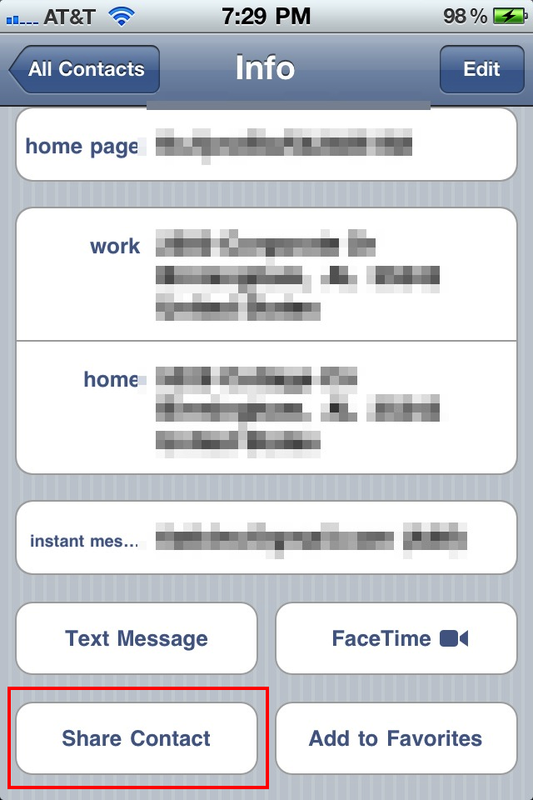 This happens to me a lot because I keep all contact information in my iPhone (which I have synced to Gmail's contacts). I often need someone's phone number or email address to get in touch with that person later. More recently, I sometimes have to go to someone's house that I've never been to and don't have an address for. I don't want to type all that information into my contacts on the little keyboard (or into my GPS for that matter). Fortunately, there is a better way...and it's built into the iOS Contacts app that is on every iPhone, iPad, and iPod Touch. One good thing about having an iPhone in your pocket or an iPad by your side is that it's available whenever you have time for a quick read. One of the things I like to read are blogs, blogs of all kinds: friends' personal blogs, news blogs, technology blogs, blogs by pastors I respect, political blogs, and even other blogs about iOS devices. As you can imagine, I couldn't bookmark all those blog sites and hope to figure out where I left off reading. That's where RSS readers (or Feed Readers, as they are sometimes called, since some feeds are ATOM, not RSS). RSS readers are aggregators of all of the content of your favorite blogs so that you can look at them all in the same place, either with the latest posts first or organized into folders or categories. By the way, RSS is not just for blogs. Most sites with any kind of news or reviews provide RSS feeds. I sent a postcard with a picture I took a couple of weeks ago...and I didn't even have to mail it. In fact, I sent it from my iPhone. 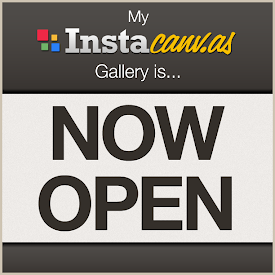 With an app called Postagram, it was incredibly simple and not too expensive. The app takes you through simple steps to creating a postcard. You choose a picture (from Facebook, Instagram, or your camera roll), type a personal message, add a recipient (or as many recipients as you want), and then click a button to order it. 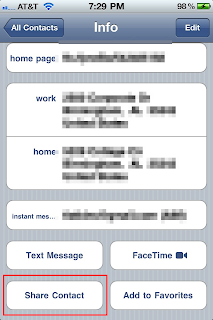 The recipients can be typed in individually or chosen from your contacts. Ordering a postcard is an in-app purchase for this otherwise free app. Each postcard you send is $0.99. Since it includes the postage, it's not really too bad of a deal. Your first one is free. Today was one of those days. I needed to sign a document and fax it to a number. (There was no option to email it, just to fax it.) 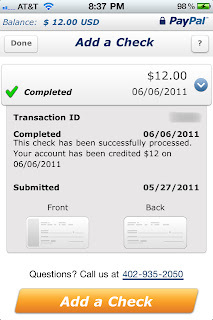 Not owning a fax machine and not wanting to make a trip out, I decided to try my favorite scanning app, JotNot Pro. It's not only the best document scanning app for the iPhone of the one's I've tried, it also has the ability to fax documents. I took a picture of the document, had it converted to a scanned black and white image with JotNot Pro, and then used the Fax feature of JotNot Pro to fax the document. It sent my fax without a hitch. It did cost me a $0.99 fax credit but that was cheaper than spending $4/gallon gas to go to the nearest UPS Store...and it was far more convenient. As I mentioned in The Best Camera is the One You Have with You, the iPhone 4 takes some pretty good pictures, but even if you have an earlier iPhone, you can still turn pictures into a work of art by the use of filters. Apps with filters are an easy way to add a lot of interest to a photo you've taken, giving it any number of looks such as aged, cross-processed, black and white, sepia, vivid color, etc. I've always loved the ease of Instagram, an app which allows you to apply a filter to your photo and share it in mere seconds. The only problem with Instagram is that it only has fifteen filters. Even though the filters are pretty good ones, it leaves you longing for more. Today I discovered my new favorite app for filtering, and best of all, it works well with Instagram. I've use PayPal for a number of years, mostly for buying online and giving to my church. 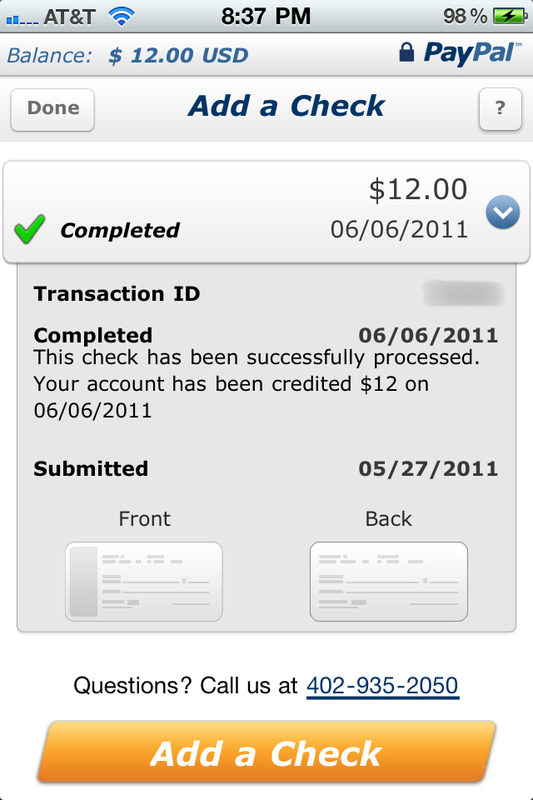 However, I never really use it to transfer money to someone else or to receive money from someone else. Recently, though I did do that, though in a little different way, and with my iPhone. We had a couple of other families over one Friday night and ordered pizza. I paid for the pizza initially but we split the cost. One person paid me back in cash and another paid me with a check. Rather than take the check to the bank, which would require a special trip for me or for my wife, I decided to try something new. I recently helped some friends have an estate sale where they sold almost everything they owned in preparation to move to another country as missionaries. Since it was important to get people out to the estate sale, I needed to post an ad for it to Craigslist. At the time I needed to post it, doing that from a computer wasn't really an option. Since Craigslist doesn't have a mobile-friendly web site I immediately went to the app store to see what my options were. If you search for "craigslist" on the app store you'll find a number of apps. I looked through the reviews for each app that had the ability to post an ad and settled on one that was free but had high ratings. This one, Craigslist Pro, served my needs well. The interface was OK, not great, but at the price did everything I needed, including letting me upload up to four photos to an ad. It let me update the ad later, which I did after adding the photos. I knew it worked immediately because, within minutes of initially posting the ad, I started getting emails asking me about the items that were being sold.